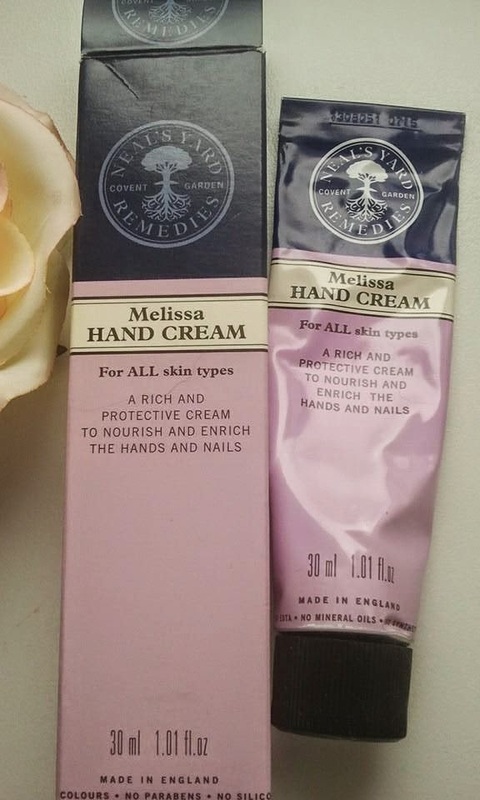 Neal's Yard Remedies Melissa Hand Cream. Review. 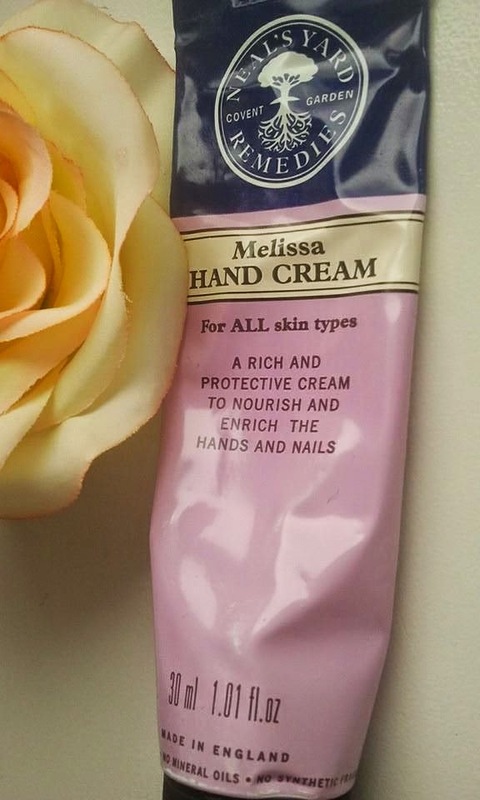 today I would like to review a Neal's Yard Remedies Melissa Hand Cream. 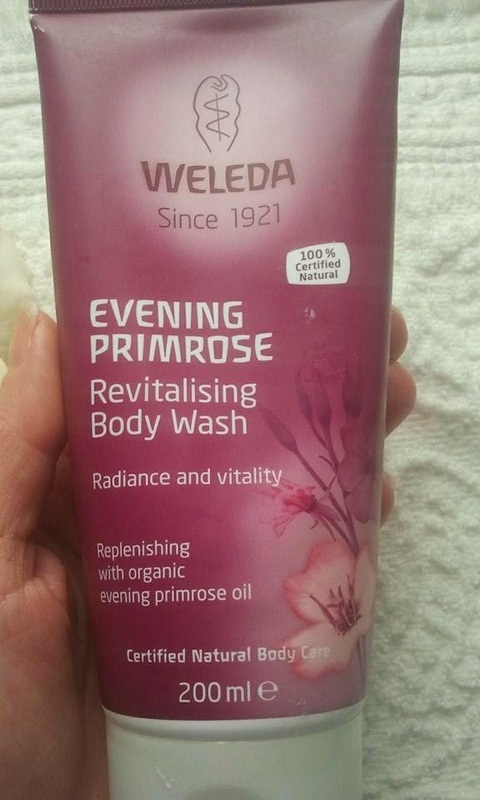 The Neal's Yard company has been my latest discovery in organic skin care. This is a London situated company where people "believe that beauty, health and wellbeing should be natural, not synthetic". They have said that they believe in nature (and who doesn't by the way) and customer's right to know what goes into the products he buys. I think that those statements sound great:). Melissa hand cream has nourishing and protective properties. It is good for hard working and dry hands. The cream is rich and can also be used on the feet and elbows. 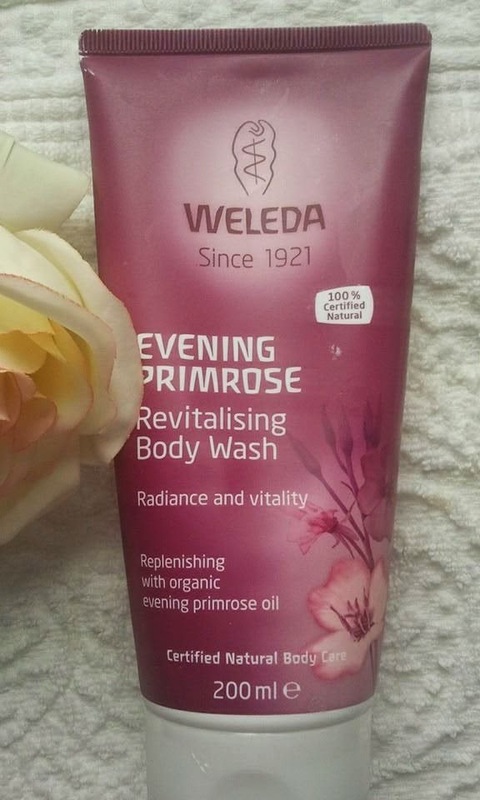 It contains fantastic ingredients: different types of oils and herbal extracts. for example: almond, jojoba and olive oil, rose flower extract, beeswax, citrus and mandarin peel oil, oils of frankincense and myrrh, comfrey extract, etc. 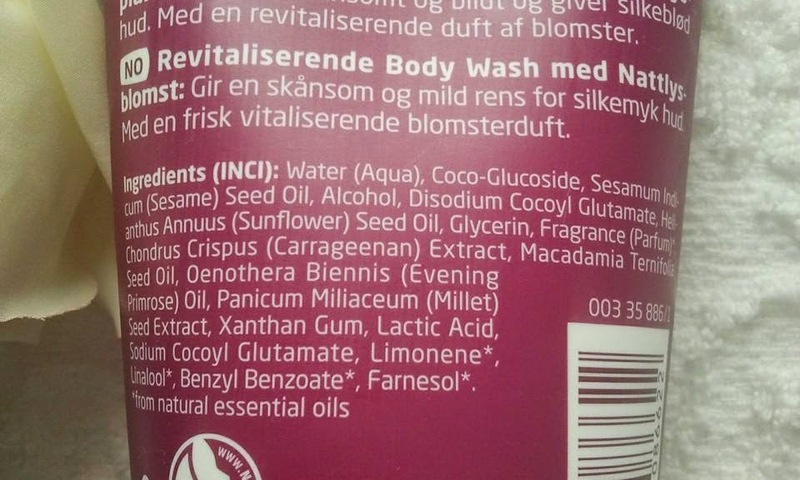 Because it contains essential oil of melissa (lemon balm) it has citrusy scent. I like this scent a lot and I think it has calming effect on me. This is like aromatherapy:). But I have also noticed that many people around me don't like the smell. 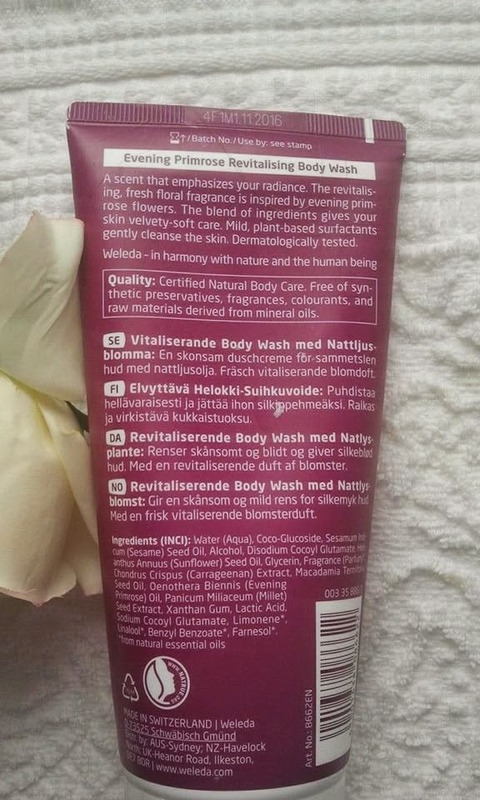 I am actually not surprised because organic cosmetics do smell differently comparing to chemical ones. 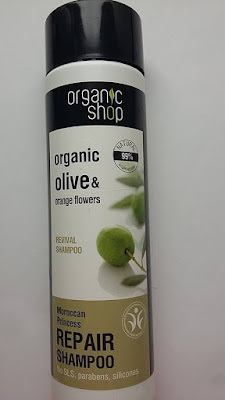 If someone doesn't have much experience with organic products then she/he may think that they smell bad. Anyway I have stopped using melissa hand cream when I am in the school and I apply it only when I am at home. I apply in not only onto the skin but I also massage the fingers and the base of the nails. This is actually the first product I use for both hands and nails and it works great. Because I wash my hands a lot my nails are really dry and even split (cleaning, washing, household jobs, etc. contribute a lot). Luckily the melissa hand cream has improved condition of my nails a lot. Now they are nourished, stronger, and they look whiter as well:). My hands are nourished and the skin feels softer and soothed but I would preferred a little bit more of moisturizng action. The cream is great for the winter time because it protects the hands from the cold, wind, dryness. It leaves a bit greasy residue and it takes a while to absorb. I have been using this cream for about 3 weeks (but not every day) and about 60% of the product is gone. The tube is rather small - 30 ml so it will not last long. It is also quite expensive. I recommend this product especially during the winter and as a night treatment. It will repair your hands and nails when you sleep. And it will protect your hands from the cold weather. 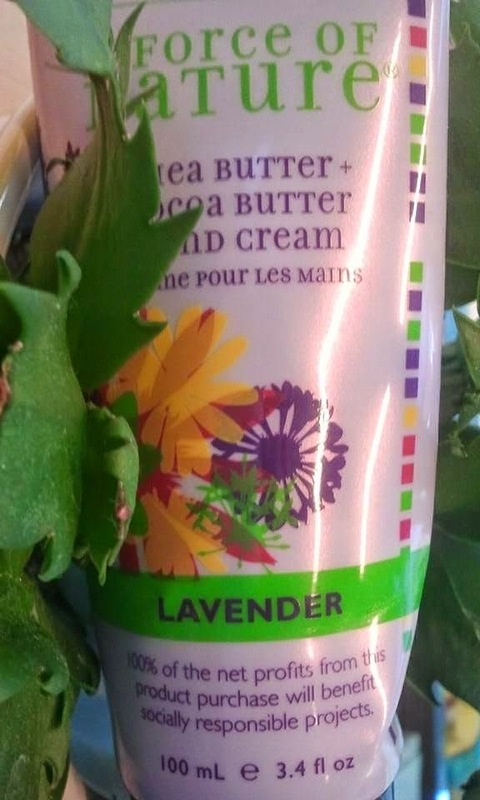 today I would like to review an Andalou Naturals Hand Cream in Lavender. I wash my hands very often and I have been always using and testing many different hand creams, lotions and potions:). 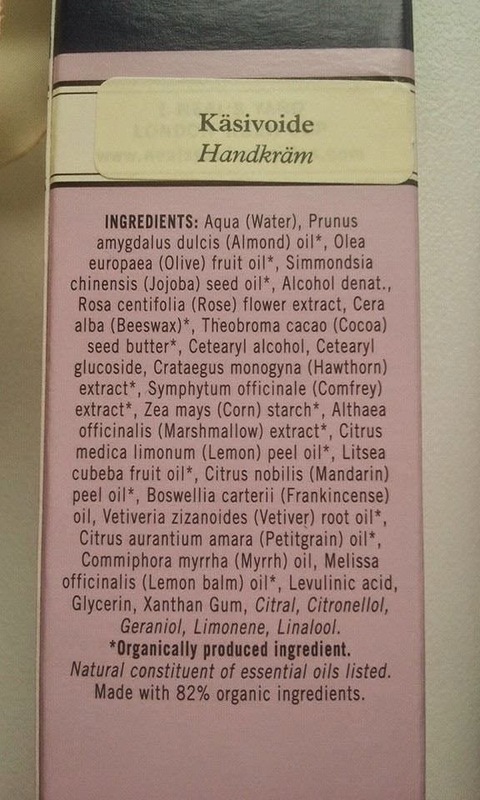 I always read ingredients and try to use as healthy creams as possible. 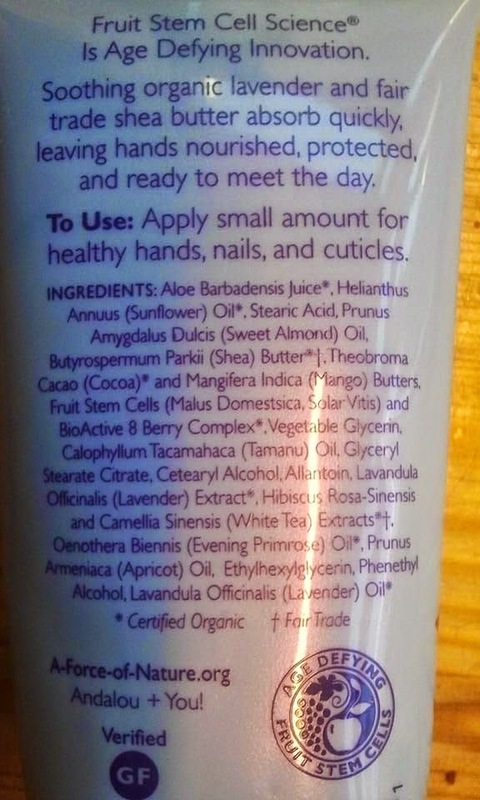 This Andalou Naturals Hand Cream in Lavender rates a 1 for toxicity with the EWG. It has a rich formula but luckily it is not sticky and absorbs really fast. But the most important is that the Andalou Naturals Hand Cream has a really good ingredients: aloe vera, almond oil, shea butter, cocoa, mango butter allantoin, evening primrose oil, tamanu oil and even more goodies:). For that reason it can be used regularly (in my case several times a day) knowing that nothing nasty is being absorbed by the body. After applications hands are soft, smooth and moisturized. The cream absorbs almost immediately and you don't have to wait for the hands to dry. It doesn't leave the hands greasy so it is good to use at work or school. The good feeling lasts until you wash your hands so it has to be reapplied often. Because of that the cream will not last you long, it lasted me about a month. The Andalou hand cream has a strong scent of lavender which may be too overpowering. For me it is not a problem but if you are a scent sensitive person then bear it in mind. Some people around me didn't like this smell at all. And actually children, who are very honest, were saying to me that this hand cream has an awful smell. Luckily the smell doesn't linger, it smells for a first few minutes and then it disappears:). 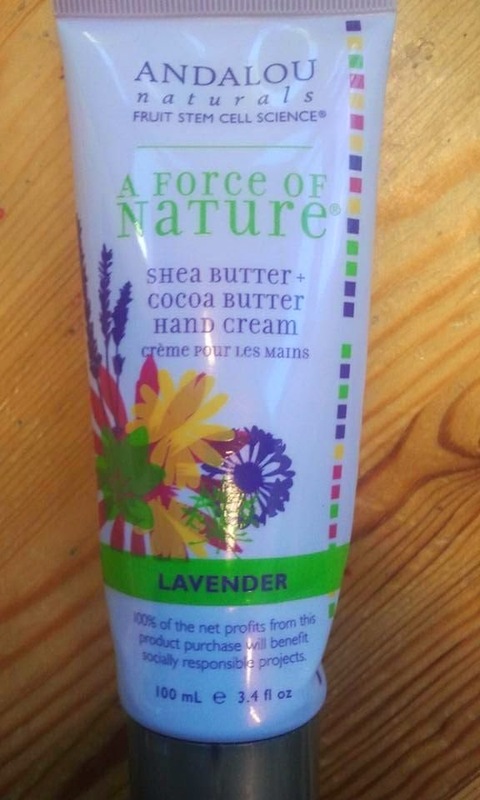 I have bought Andalou Naturals Hand Cream in Lavender at iherb for 3.99 dollars which is about 3,5 euros. Such a good price for a natural product:). You can't go wrong with this one! 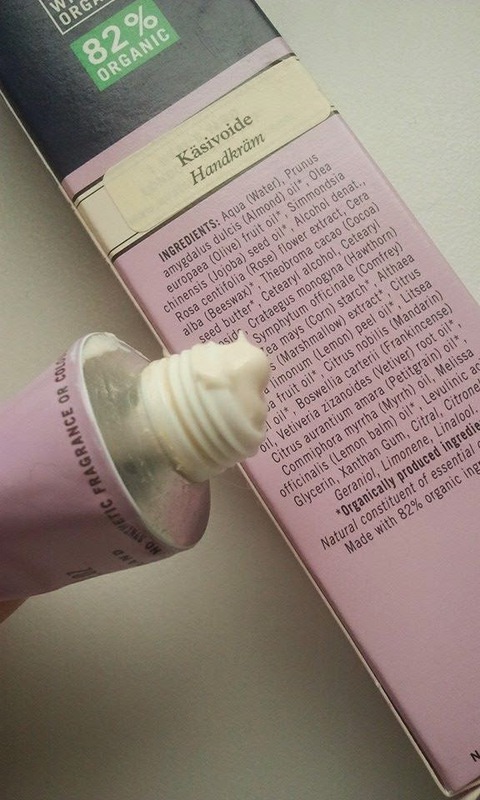 You can reapply this hand cream often without worrying about nasty ingredients. I recommend it to everyone, expect for those who don't like lavender smell.